"To celebrate the anniversary of the founding of the church, original church members gathered June 24th. Top row (left to right): Cecil (Cougar) Smith; Rev. Canon Alan Greene, first incumbent; C. Hayes Sr.; C. Hayes Jr.; and E.P. Painter. 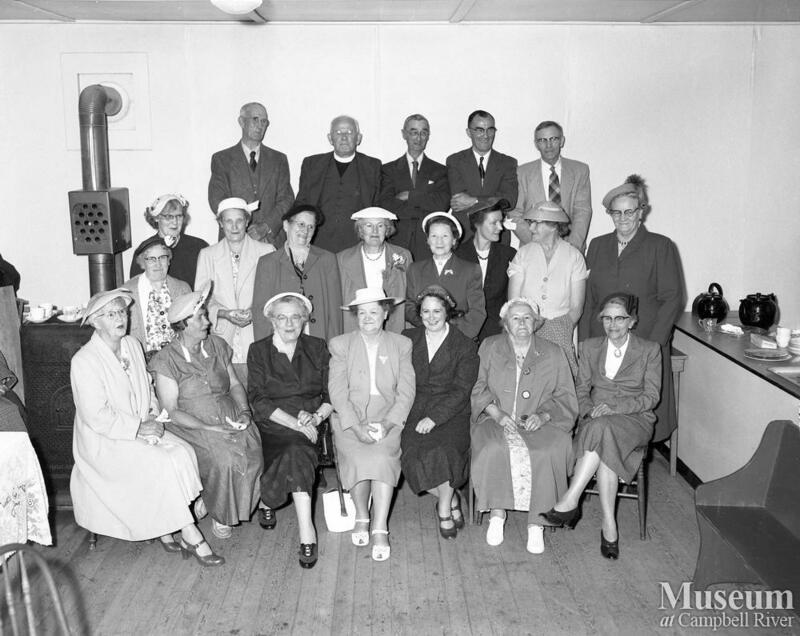 Middle row: Mrs. A.C. Simms, Mrs. R. Hopton, Mrs. R. Masters, Mrs. Greene, Mrs. Wickstrom, Mrs. E. Pengelley, Mrs. E.P. Painter, and Mrs. J. Sutherland. 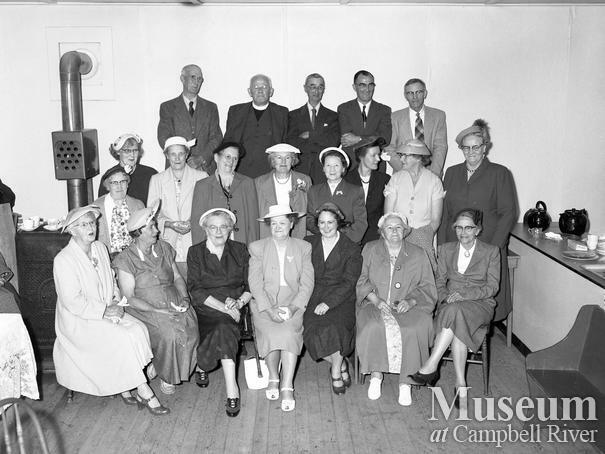 Bottom row: Mrs. Pidcock, Mrs. J. Fitzgerald, Mrs. J. Forbes, Mrs. H. Haye, Mrs. J. Edgett (of Courtenay), Mrs. D. Vanstone, and Mrs. Dave Gillan."